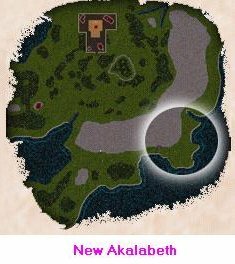 Last visited by Zerver on Nov 1 98The Hellhound’s Breat is located in the City of New Akalabeth. It is located on the Fire Island near the entrance to Hyloth. It is operated by the SINdicate guild, and the Sosarian Independent Nation. At the present time, only the Tavern is open to the public, but with time they hope to open a city hall, and other buildings. They currently have the vendor immediatly outside of the the Hyloth entrance. While I was there, they loaned me a horse to run around on. Because Catskills had been down for a very long time, there were not many people about, but I will keep checking.